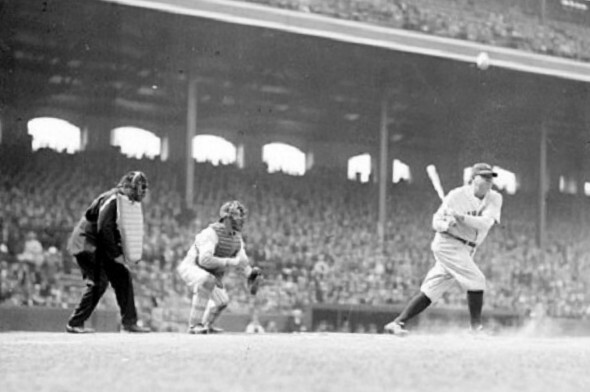 Eighty years ago today, Babe Ruth hit the most famous – and most controversial – home run in baseball history. 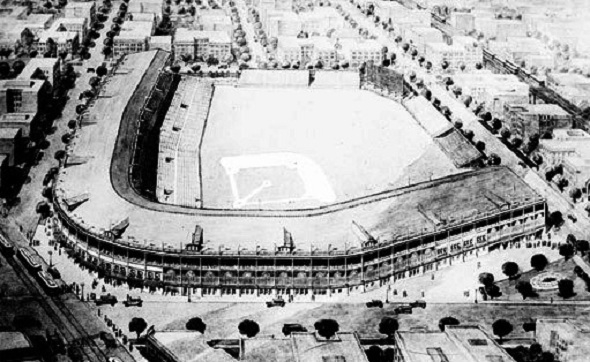 It happened in Chicago, at Wrigley Field. Ruth’s Yankees were facing the Cubs in the World Series. (Yes, children. Once upon a time, the Cubs did play in the World Series.) The Yankees had won the first two games in New York. Now the series had moved to Chicago for Game Three. There was bad blood between the two teams. The Cubs’ pennant drive had been sparked by the late-season acquisition of shortstop Mark Koenig. But the rest of the Cubs had voted Koenig only a partial share of World Series money. Koenig was an ex-Yankee. The Yankees thought the Cubs were cheating their old teammate. When the series began, both teams started dissing each other across the field. “Cheap bastards” was one of the milder terms used. The score was tied 4-4 when Ruth came to bat in the 4th inning of Game Three. The Cubs yelled at Ruth. Ruth yelled back. He watched the pitcher fog in two quick strikes. Then Ruth majestically pointed toward the center field bleachers, announcing he’d hit the next pitch there. The pitcher threw. Ruth swung. He hit the ball just where he had pointed. At least, that’s the legend. Over the next few years, more and more writers picked up the story of The Called Shot. At first Ruth brushed aside questions about whether he’d pointed. By the time he died in 1948, he was happily telling everyone that, of course, he really had pointed. Later generations of baseball scholars dismissed The Called Shot legend. Some questioned whether Ruth had even made a gesture. The whole business seemed like another New York media invention. Then, in 1992, a fan’s 8-mm movie of Game Three surfaced. The film shows that Ruth did make a pointing gesture with his hand. But it’s not clear who or what he was pointing at. So the debate continues. 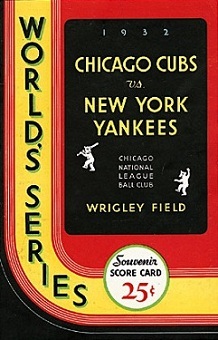 By the way, in case you haven’t guessed, the Yankees swept the Cubs in the 1932 World Series in four straight games.